Maiming is a class 6 Felony offense punished by up to 5 years in prison. Maiming is usually charged together with a DWI, driving while intoxicated. Maiming is a criminal negligence statute that punishes injuries caused by a vehicle collision when the driver is under the influence of alcohol. Any person who, as a result of driving while intoxicated in violation of § 18.2-266 or any local ordinance substantially similar thereto in a manner so gross, wanton and culpable as to show a reckless disregard for human life, unintentionally causes the serious bodily injury of another person resulting in permanent and significant physical impairment shall be guilty of the maiming of another as a result of driving while intoxicated. The Commonwealth of Virginia must prove at trial: prove: (1) that the accused was intoxicated; (2) that the accused caused the victim’s i jury; and (3) that the accused’s conduct was gross, wanton, and culpable. 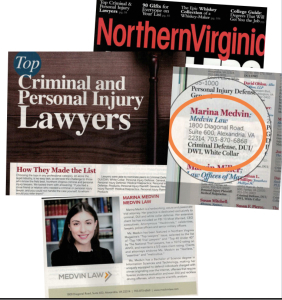 This article is written by Award-Winning Virginia Criminal Defense Attorney Marina Medvin, law offices in Alexandria and in Fairfax. We defend clients charged with Maiming and DWI in Alexandria, Fairfax, Arlington, Falls Church, and Vienna. Call us to inquire about a consultation for pending Maiming and DWI charges. Conduct that is gross, wanton and culpable demonstrating a reckless disregard for human life is synonymous with criminal negligence. Criminal negligence is judged under an objective standard and, therefore, may be found to exist where the offender either knew or should have known the probable results of his acts. Gross negligence is culpable or criminal when accompanied by acts of commission or omission of a wanton or wilful nature, showing a reckless or indifferent disregard of the rights of others, under circumstances reasonably calculated to produce injury, or which make it not improbable that injury will be occasioned, and the offender knows, or is charged with the knowledge of, the probable result of his acts. The level of intoxication is relevant to a determination of the degree of the defendant’s negligence: whether ordinary, gross, or wanton. The Supreme Court of Virginia has held that in determining the degree of a defendant’s negligence, intoxication is relevant as an aggravating factor, increasing with the level of intoxication. It may serve to elevate the defendant’s conduct to the level of negligence so gross, wanton, and culpable as to show a reckless disregard of human life. Our Court has been consistent in stating that one who knowingly drives an automobile on the highway under the influence of intoxicants, in violation of statute, is, of course, negligent. But, while evidence of intoxication is a factor that might bear upon proof of dangerous or reckless driving in a given case, it does not, of itself, prove reckless driving. § 18.2-51.4. Maiming, etc., of another resulting from driving while intoxicated. A. Any person who, as a result of driving while intoxicated in violation of § 18.2-266 or any local ordinance substantially similar thereto in a manner so gross, wanton and culpable as to show a reckless disregard for human life, unintentionally causes the serious bodily injury of another person resulting in permanent and significant physical impairment shall be guilty of a Class 6 felony. The driver’s license of any person convicted under this section shall be revoked pursuant to subsection B of § 46.2-391. B. The provisions of Article 2 (§ 18.2-266 et seq.) of Chapter 7 of Title 18.2 shall apply, mutatis mutandis, upon arrest for a violation of this section. § 18.2-51.5. Maiming, etc., of another resulting from operating a watercraft while intoxicated; penalty. A. Any person who, as a result of operating a watercraft or motorboat in violation of subsection B of § 29.1-738 or a similar local ordinance in a manner so gross, wanton, and culpable as to show reckless disregard for human life, unintentionally causes the serious bodily injury of another person resulting in permanent and significant physical impairment is guilty of a Class 6 felony. The court shall order any person convicted under this section not to operate a watercraft or motorboat that is underway upon the waters of the Commonwealth. After two years have passed from the date of the conviction, the convicted person may petition the court that entered the conviction for the right to operate a watercraft or motorboat upon the waters of the Commonwealth. Upon consideration of such petition, the court may restore the right to operate a watercraft or motorboat subject to such terms and conditions as the court deems appropriate, including the successful completion of a water safety alcohol rehabilitation program described in § 29.1-738.5. B. The provisions of Article 3 (§ 29.1-734 et seq.) of Chapter 7 of Title 29.1 shall apply, mutatis mutandis, upon arrest for a violation of this section. This entry was posted in Alexandria Criminal Defense Attorney, Virginia Criminal Law and tagged 18.2-51.4, 18.2-51.5, DUI Maiming, DWI Maiming, MAIMING, Virginia Maiming. 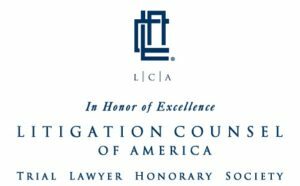 One of only 0.5% of lawyers selected for a fellowship at Litigation Counsel of America, an invitation-only trial lawyer honorary society. One of only 2.5% of lawyers selected by Thomson Reuters Super Lawyers to their prestigious list of Rising Stars in Virginia and Washington DC from 2014-2017. 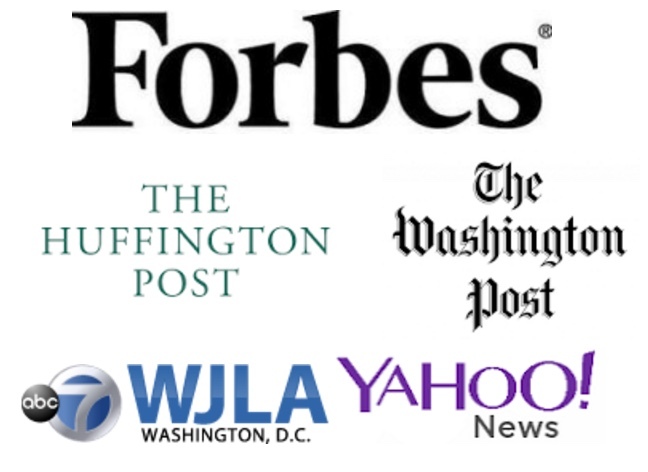 As seen in The Washington Post Annual List of Top Attorneys in Washington, D.C and Richmond Magazine’s Top Lawyers in Virginia. AVVO Rating 10.0 highest achievement rating, in each category of Criminal Defense, Federal Crime, DUI, and Juvenile Defense, and Client Review Rating of 5 Stars on the public attorney reviews site AVVO. Selected to the 2014 Leaders in Law profiles in Town & Country Magazine. 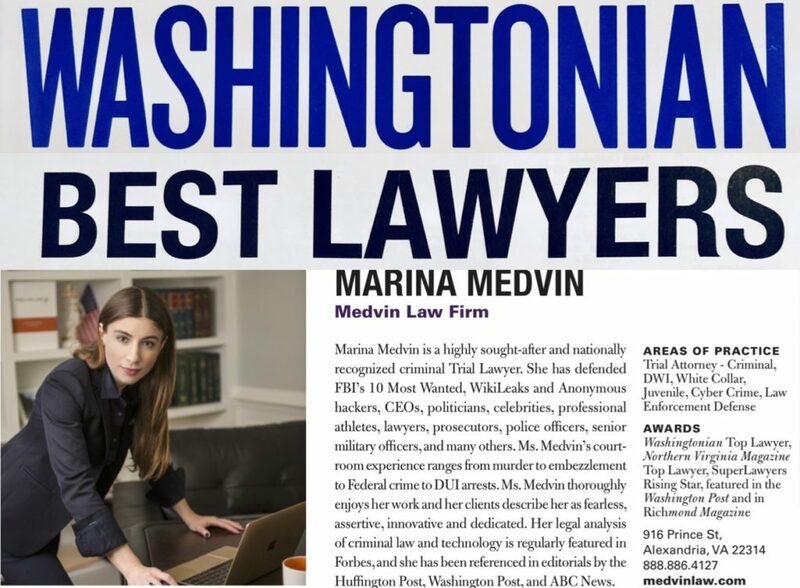 MEDVIN LAW PLC has been selected to the list of Best Lawyers and Law Firms in America – Criminal Defense by the Best Lawyers in America Organization. AVVO Client’s Choice designation in each category of Criminal Defense, Federal Crime, DUI, and Juvenile Defense. Top Rated Attorney in Virginia for 7 straight years on the public consumer reviews site LawyerRatingz.com. Martindale-Hubbell Client Distinction designation for maintaining a 5-Star client rating on Martindale.com and Lawyers.com. Critical Response Team Self-Defense Attorney for “United States Concealed Carry Association (USCCA),” endorsed by Sean Hannity. Experienced Northern Virginia criminal lawyer serving Alexandria, Fairfax, Arlington, Tysons Corner, McLean, Vienna, Falls Church, VA.
Loudoun, Leesburg, Prince William County, Manassas and Woodbridge criminal law cases may be considered by our attorneys. client rating is 5/5 stars, based on 258+ reviews.